Membership into Phi Beta Sigma has its privileges! The Founders envisioned an organization built on principle and integrity and most of all service. Through brotherhood, scholarship and service Phi Beta Sigma has impacted not only the local communities that we live in but also the world as a whole. 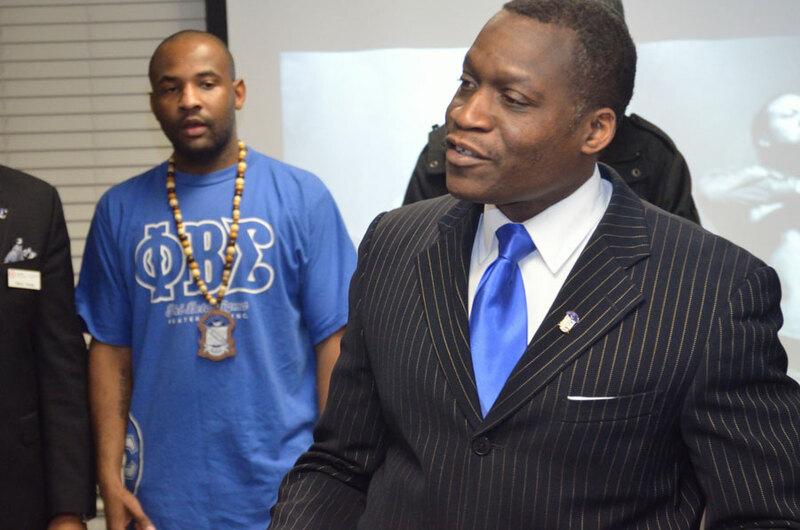 Phi Beta Sigma has become a training ground for world, business and community leaders. Our success is based on the depth of commitment, vision, and confidence of our members. We, therefore, seek men who will promote and extend the policies and programs of Phi Beta Sigma Fraternity. The Fraternity, in return, is a massive network through which individuals can grow and develop personally and professionally. Membership in Phi Beta Sigma Fraternity, Inc. is generally classified as collegiate or alumni. Collegiate membership in Phi Beta Sigma Fraternity is limited to college men who are attending and working toward obtaining a baccalaureate degree at a recognized college or university and have completed at least one grading period and have obtained a minimum of a 2.5 cumulative GPA based on a four-point scale. If you are a professional man who exudes “Culture for Service and Service for Humanity” and interested in membership, please complete the form below for more information.